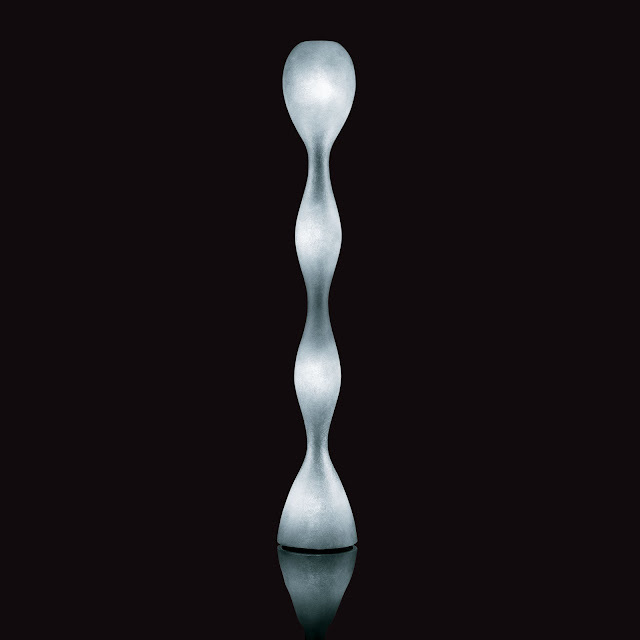 This brilliant floor lamp was designed by the Italian designer Guglielmo Berchicci for Kundalini in Italy. This lamp is such a visual treat and a joy to behold! Characterized by its sinuous curves and perfect proportions, the Kundalini Yoga Floor Lamp is styled like a veritable Constantin Brancusi sculpture. This graceful floor lamp combines both function with artistry. Due to its size, 78.7" high and 15.7" wide, the Kundalini Yoga Lamp is a sculptural object that is sure to draw everyone's eye. The four points of light within the fiberglass diffuser provide for a warm diffused glow that distributes evenly throughout the room. Providing a pleasant ambient light, the Kundalini Yoga Lamp is perfectly suited to floors in the living room, bedrooms or family rooms. 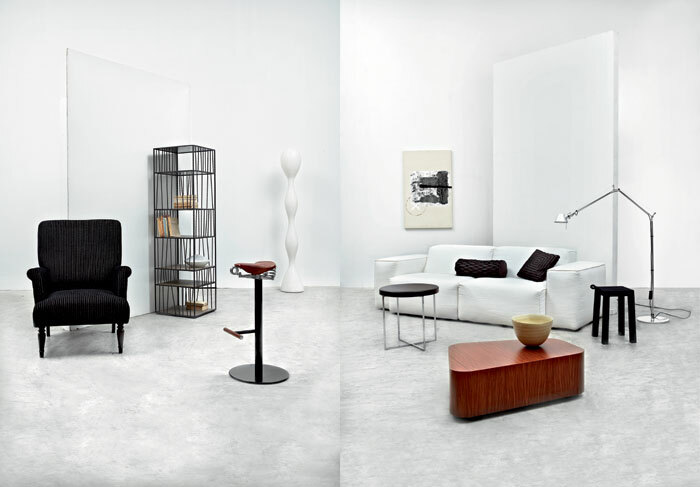 It also adds a contemporary flair to offices and workspaces. An exceptional lamp! 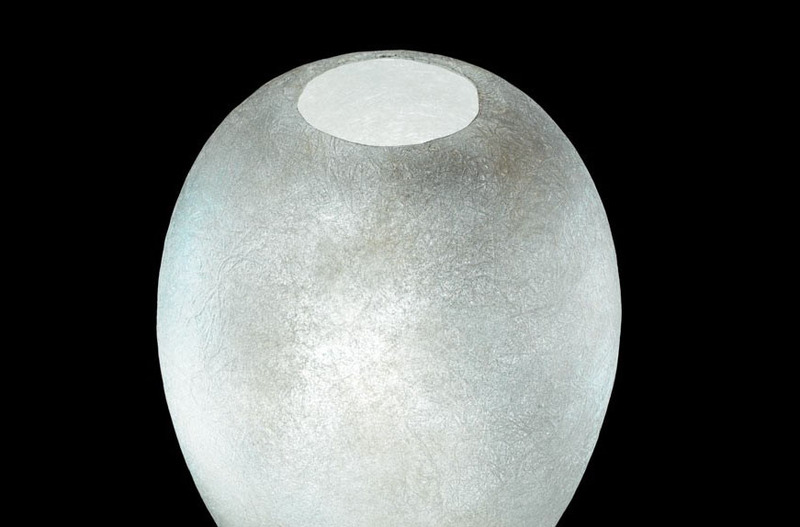 This floor lamp has a handmade light diffuser in ecological fiberglass, with a metallic inner structure, that is removable for changing bulbs. This lamp is supplied with integrated dimmer.